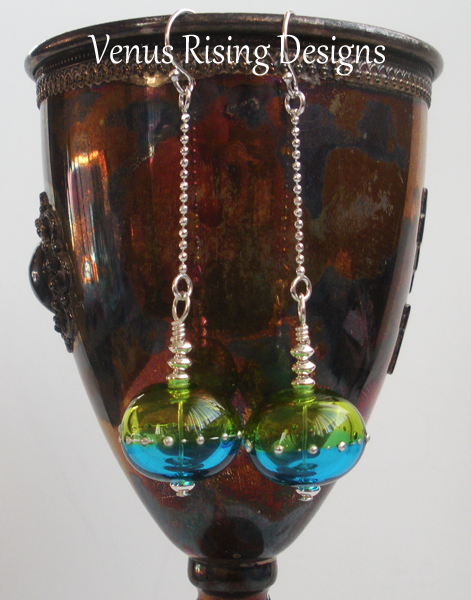 Enjoy the tranquil colors of the Caribbean with these lime & turquoise blue earrings! The artisan-crafted lampwork beads are hollow and gently sprinkled with fine silver. Sterling silver beads, chain and findings. Wire-wrapped for security. Length is 2-1/2" including the earwires.